New Equations and New Equations Music Cofounder, Soultype Instructor, and author. Alan is a Soultype 5 and one of The Sound Aligners who compose New Equations Music. 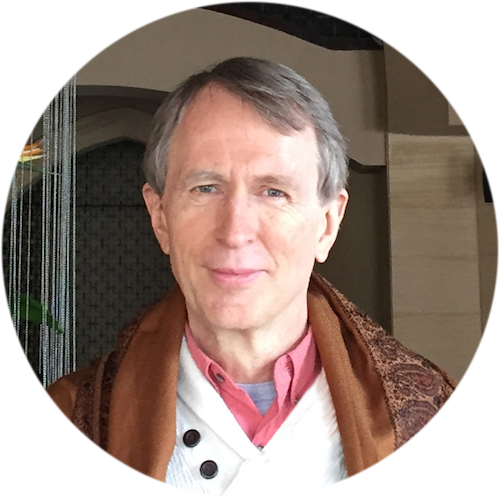 As a cofounder of New Equations, Alan Sheets has been researching the physical expression of the soul for over 20 years. In 1994, he and Siska Tovey made the pioneering discoveries of the nine Soultypes®, Postures of Strength®, Movement Centers™, Facial Expressions of Strength™, and they developed Soultyping®. 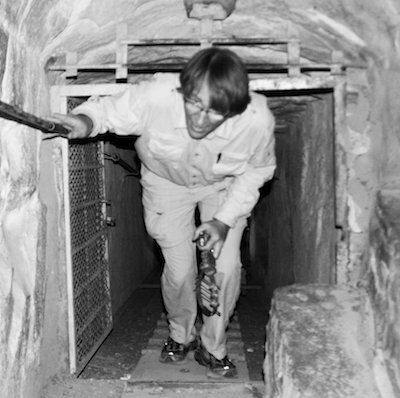 Alan has dedicated his life to helping people learn about the magic of the physical expression of the soul and how to use this wisdom in service of humanity. 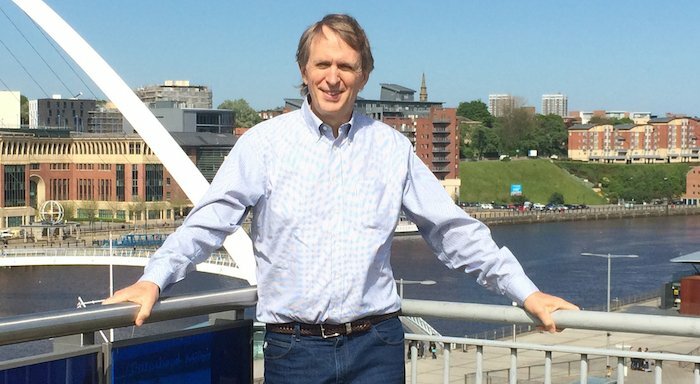 He teaches internationally and has Soultyped thousands of people. We discovered that there are nine different types of human beings that can be clearly seen when looking at the physical expression of the soul. We call these the nine Soultypes. One of Alan’s most profound experiences was watching Moshe Feldenkrais, the founder of the Feldenkrais Method, treat one of Alan’s daughters who has Cerebral Palsy. 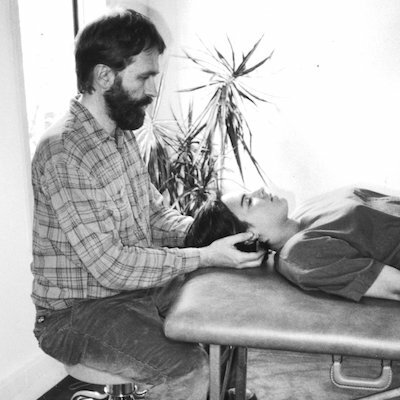 This inspired Alan to train with Feldenkrais who showed him the unlimited potential for rehabilitating the physical body by engaging the nervous system. Alan took the Feldenkrais Professional Training and became certified. In addition to his private practice, Alan worked as a Feldenkrais practitioner in a physical therapy clinic in Marin County, California. 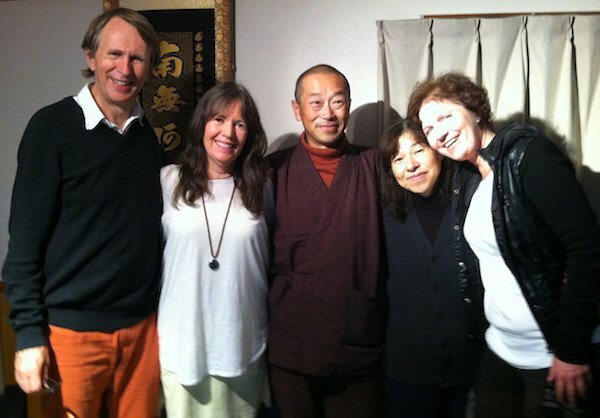 Soon he and Siska opened their own clinic and for over ten years they offered alternative modalities. Alan’s position as a Research Assistant at the Linus Pauling Institute helped him to make observations and insights needed to make the New Equations discoveries. 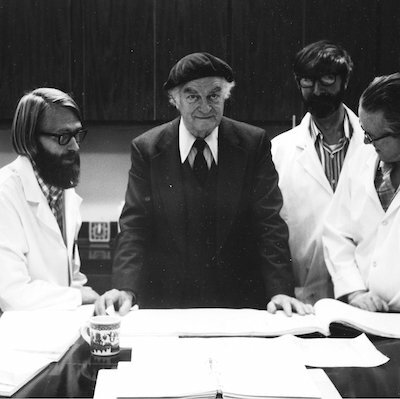 He feels particularly indebted to his relationship with Linus Pauling, the only person to receive two unshared Nobel Prizes, who supported Alan’s ability to do research in a dispassionate and clear minded way (Alan on left and Pauling in suit jacket in group photo below). Alan and Siska were married in September of 1990 and their collaboration began. During their years of research and discovery they connected with many wonderful people and also with beings from the universe. We human beings are all on a path of spiritual evolution. I did not really realize what that meant until Siska and I made the discoveries that are New Equations. Alan, Siska, and conductor/musician Siv Roland, came together in 2009 as The Sound Aligners. They create music that aligns the body’s nine Spiritual Portals with the spirituality of the universe to help people move forward in a peaceful way. The Sound Aligners present New Equations Music worldwide. Alan currently resides in Northern California, USA. New Equations gives people an opportunity to discover their Soultype and move into a spiritual existence so we can all function as one.